What will you do when the buttons don't work? Here's how to take a screenshot on a PC, macOS, Ubuntu, Linux, iOS and Android by using built-in tools and free software. You can easily take a entire screen or a selected portion of it only. Thank you for over 100 likes! Taking a screenshot on a Mac is nothing new, in fact, there are so many people are wondering how to get this job done because there is no “Print Screen” key on your Mac keyboard. Screenshots on your Mac are great for showing a tutorial, a great moment of videos, high scores from Games, some problems you need help or even the conversations on Facebook, Snapchat, Twitter, etc. Taking screenshots on a Mac is super simpler than Windows 10 because you can use the built-in keyboard shortcuts or the third-party software for taking a screenshot on Mac. Step 1: Open the screen of the app you need to take a screenshot. Step 2: Press the Command (⌘) + Shift + 3 at the same time. You'll hear a short camera shutter sound if your MacBook's sound is turned on. Your screenshot will be saved as in .png file and labeled with the date and time: ScreenShot [Date + Time] on your Desktop. Step 3: Once you have taken your screenshot, they are now ready to be opened and shared with your friends or another applications. Step 1: Open an app or the window you want to take a screenshot. Step 2: Press the Command (⌘) + Shift + 4 at the same time. The cursor will be switched to a crosshair pointer. Just select an area of the screen, then release your mouse or trackpad. To Cancel this, press Escape (ESC) button before releasing. You should certainly hear a short camera shutter sound if your Mac's sound is turned on. 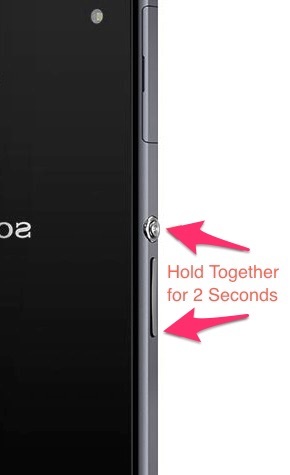 You can hold down the Option button to adjust the lock point to the center of the area. Press and hold the Shift button to lock all of the sides but the one in the direction you're presently moving. Step 3: Then, you can see the screenshot as a .png file on your desktop with the name Screen Shot [Date + Time]. Step 4: Double-click on the screenshot to view and share it with Preview app or right-click on it and select Open With to share it with another applications. Step 1: Open the app's window you want to take a screenshot. Step 2: Press Command (⌘) + Shift + 4 and Spacebar. The cursor will turn into a camera icon. Step 3: Place this Camera icon to anywhere of the windows which you want to take a screenshot. The selected window will turn into the tinted blue. Step 4: Just click your mouse or trackpad on that window to take a screenshot. To Cancel, press Escape (ESC) before clicking. You'll hear a short camera shutter, and the screenshot will save on your desktop in .png format, with the name: Screen Shot [Date + Time] as well. 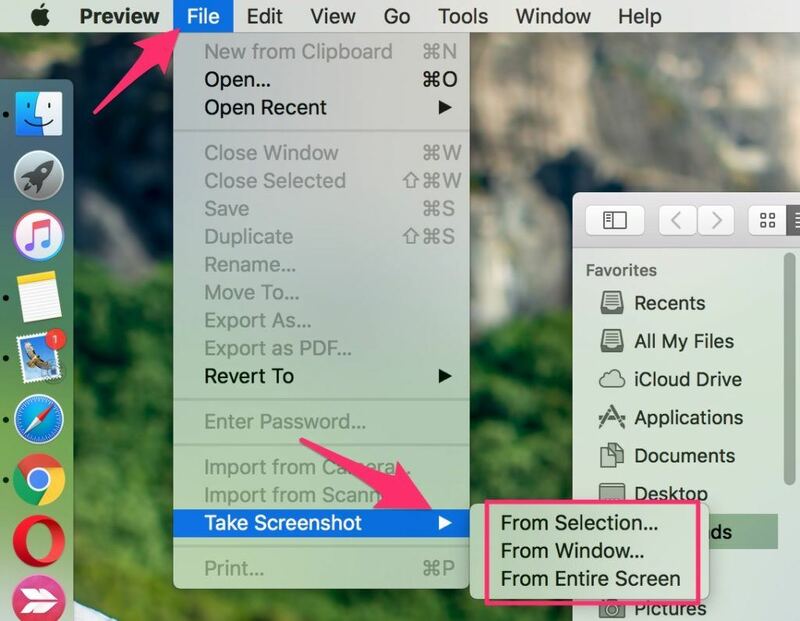 Tips: This method can be used for taking a screenshot of a specific dropdown menu and even your Dock on Mac. Press and hold the Command + Shift + Control + 3 at the same time to copy the entire screen of your Mac to your Clipboard. Press Command + Shift + Control + 4 (+ Spacebar) at the same time to copy an area of the screen to your Mac Clipboard. Step 3: Open the application on your Mac and paste by pressing Command (⌘) + V or select Paste from the menu of an app. I've used the Skitch app to paste the screenshot for editing and saving an image. 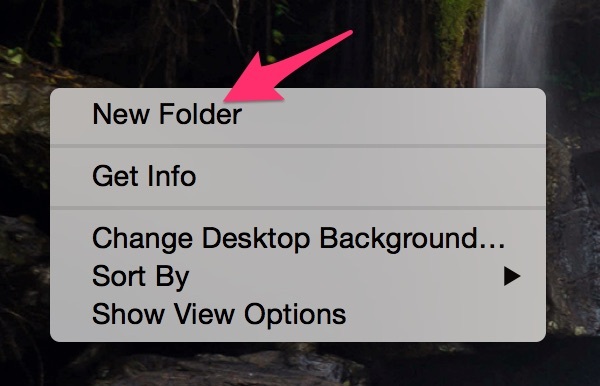 Step 1: Create a new folder on Desktop or wherever you want. Select File >> New Folder or right-click on Desktop >> Select New Folder. Step 3: Open a Terminal app by typing “terminal” on Spotlight Search or click on Launchpad >> Other >> Terminal. Step 4: At Terminal window, let copy and paste the command line below. 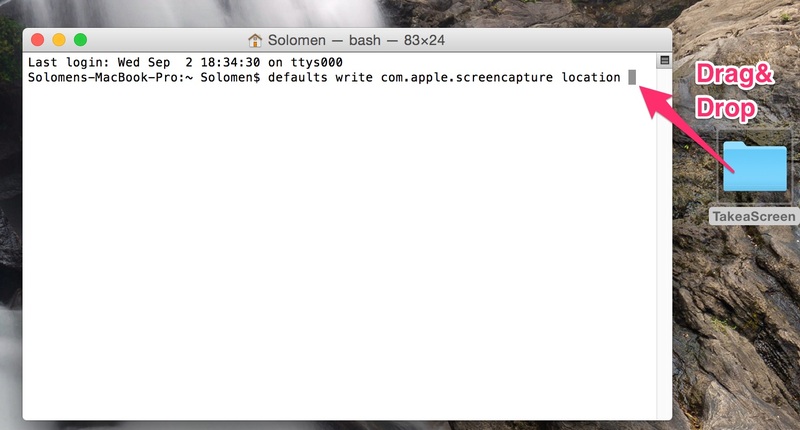 Note: Make sure to have a “space” after “defaults write com.apple.screencapture location”. Then, let drag and drop the folder into the Terminal. Step 6: Once you've pressed Return button, continue to Enter the command below. Now, you can take a screenshot by using the above guide to check the result. Changed the default save location of screenshots sucessfully. Step 1: Open the Grab app on your Mac by going to Applications >> Utilities >> Grab. You can only use the Grab's menu at the top left of your Mac's screen because there are no app's window which show up on the screen. To take a screenshot of your entire screen, select Screen and click on the screen which you want. To take a screenshot a part of your screen, click Selection. A window will appear and you need to drag your mouse over the part of your screen you want to capture. To take a screenshot of a particular app window, click Window. Then, select the window you want to take a screenshot of. Click Timed Screen option, you’ll have 10 seconds to stage the screen before this app capture the entire screen. Preview is also the built-in tool which lets you open anything from photos to PDF files on Mac. However, it has some hidden features. 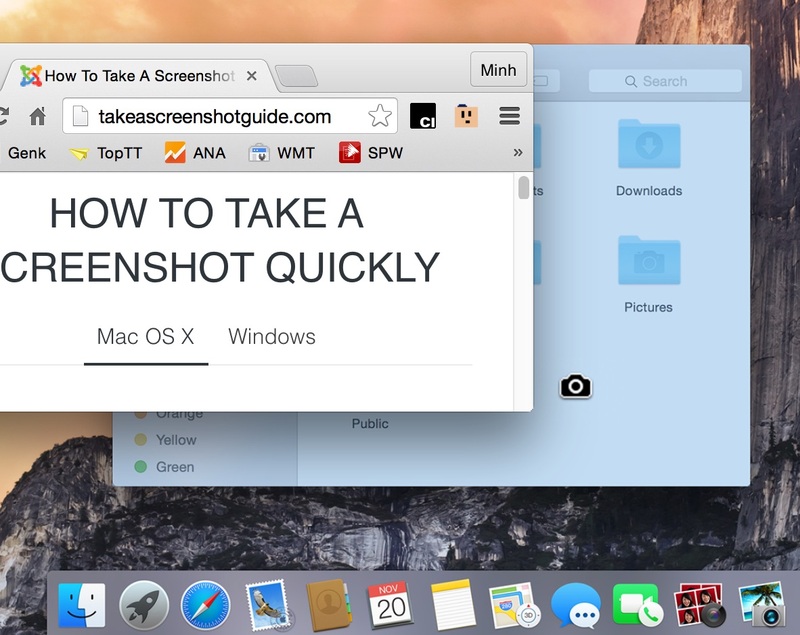 With Preview, you can completely take a screenshot and here is the step-by-step to do that. Step 1: Go to LauchPad >> open Preview app. Then, click File >> Take a screenshot at the menu of the screen. Step 2: Select the option you want. Skitch is a great screen capture and editing app from Evernote. 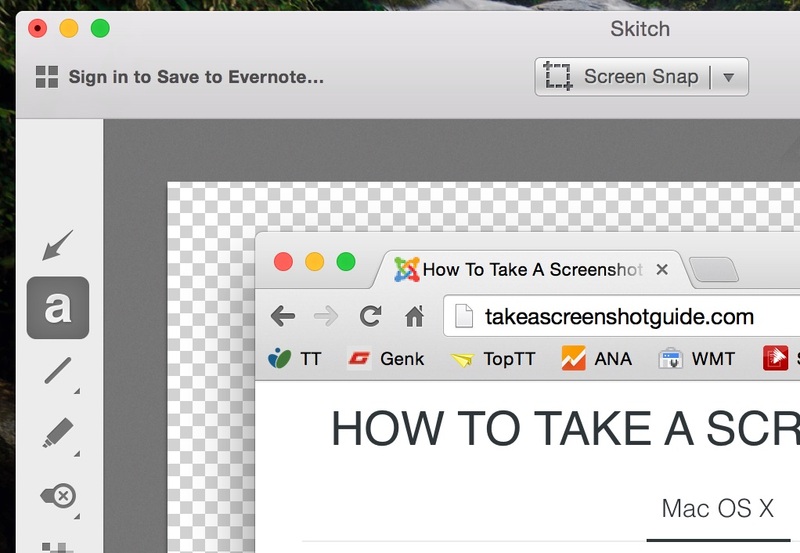 Skitch can assist as your primary screen capture app, surely replacing the built-in Grab utility in your Mac. It provides some features which allow you to annotate a screenshot with adding arrows, text, shapes, and lines. Supports for JPG, PNG, JPEG, TIFF, GIF, BMP, and PDF formats. It only allows editing one image at a time. Must use export option to save the image. LightShot is also an amazing screenshot tool available for Mac. You can capture screenshots in many ways and easily edit, upload or even share them on the Internet. Here's the guide on how to use the LightShot app. Sometimes, you will need to take screenshots of your Windows in a variety reason including sending a screenshot to tech support, a high-score of the test to friends or sharing a funny comment of Facebook, to your family, etc. Fortunately, the feature has been available across various Windows for more than ten years. Here's the detailed guide on how to take screenshots in Windows 7, Windows 8.1 and Windows 10 as well. If you want to take a screenshot on Microsoft Surface Pro, you can check this article out. Once you have pressed the PrtScn button, this will take a screenshot of your whole screen and copy it to the clipboard. 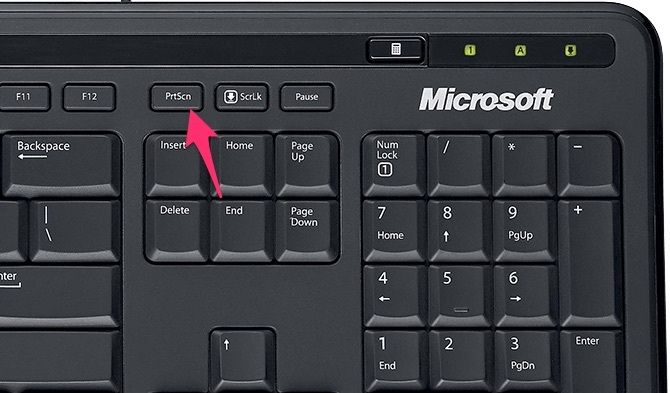 Note: This PrtScn key is often located between Scroll Lock and F12 button on your keyboard. For some Laptops, you need to press both button: Fn (Function) and PrtScn button. 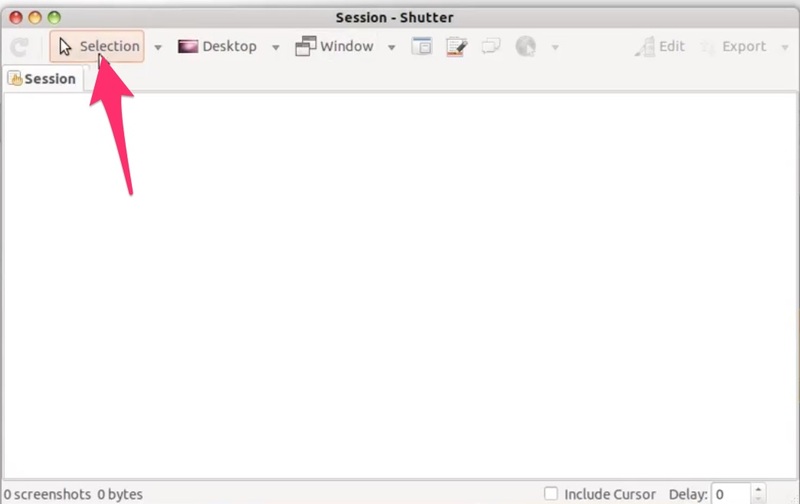 You need to open the program and click on the Program's window you want to take a screenshot. 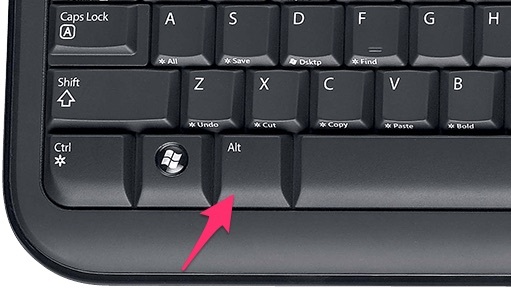 Then, let press the Alt + PrtScn key at the same time. This will be copied to the clipboard. If you are using Windows 8.1 or Windows 10, just pressing these button (Windows + PrtScn (Print Screen) )to automatically save a whole screenshot within the Screenshots folder of your Pictures. ​Once you've used one of two ways above, then open the program to edit and save the screenshot as the image file. 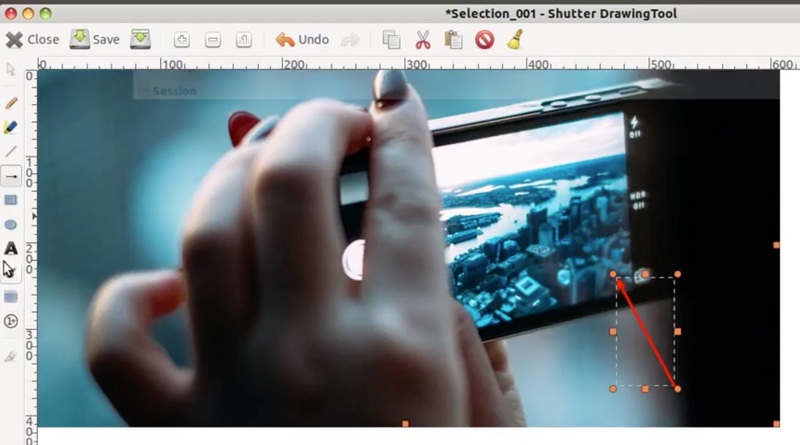 You can use the built-in program (Paint) or the third-party software (Lightshot). In this article, I will use Paint to paste the screenshot. 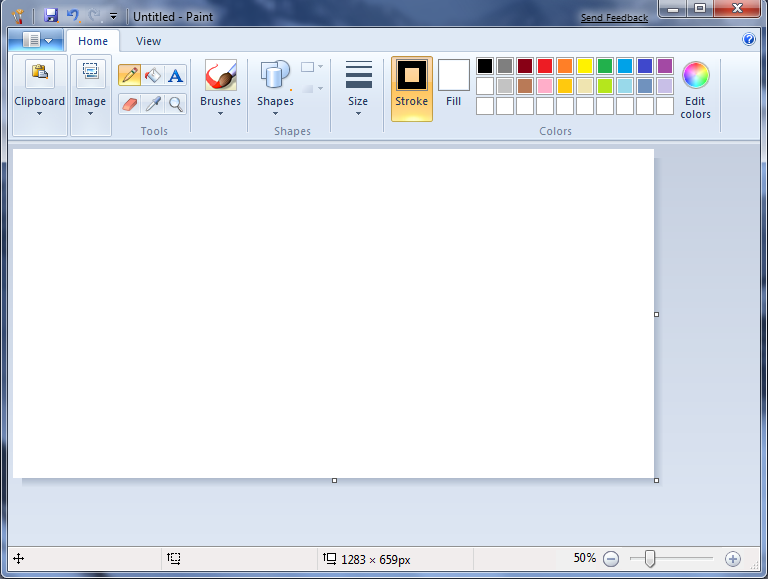 I opened the Paint program by using Search Box from Start menu, then pressed Ctrl + V to paste the screenshot. Finally, just selected File >> Save the image as .jpg, .png,... once I have edited the screenshot completely. The Snipping Tool is a great built-in tool on Windows 7, Windows 8.1 and Windows 10. Here's the step by step guide on how to use the Snipping Tool for taking a screenshot. Step 1: Open Snipping Tool from your PC. 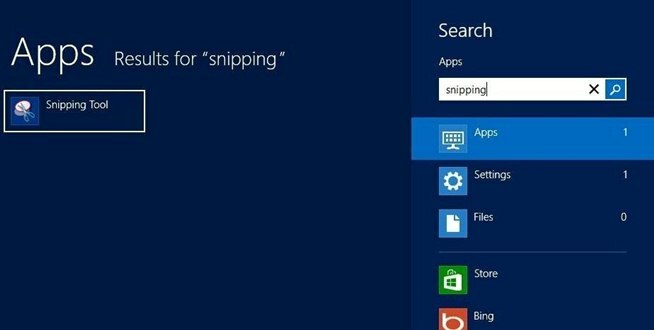 On Windows 10 and Windows 7: Click the Start button, type "snipping" in the search box on the taskbar, and then open the Snipping Tool from the results. For Windows 8.1: Open the Search box by swiping in from the right corner of the screen, just type Snipping in the Search box. Step 2: There are 4 options to take a screenshot with The Snipping Tool. Click on Mode button (the arrow next to the New button in older versions), click the type of option which you need. Free-form snip allows you draw any type of shape with your mouse. Rectangular snip allows you select a rectangle-shaped area which is selected by default. Window snip lets you select a program's window to capture. Full-screen snip lets you capture the whole screen. Step 3: Once you've picked your Snip area and released your mouse. Now, you can easily draw and edit by clicking the Pen or Highlighter button. Select Eraser to remove something that you've drawn. Step 4: Finnally, select the Save button and type a file name, location, and type of formats you want and select Save. LightShot is a great software which lets you take the screenshots. See more the detailed guide here. Taking a screenshot on an iPhone or iPad is an great way to share the text of Facebook, the high-scores of playing Game, etc. with your friend and family. 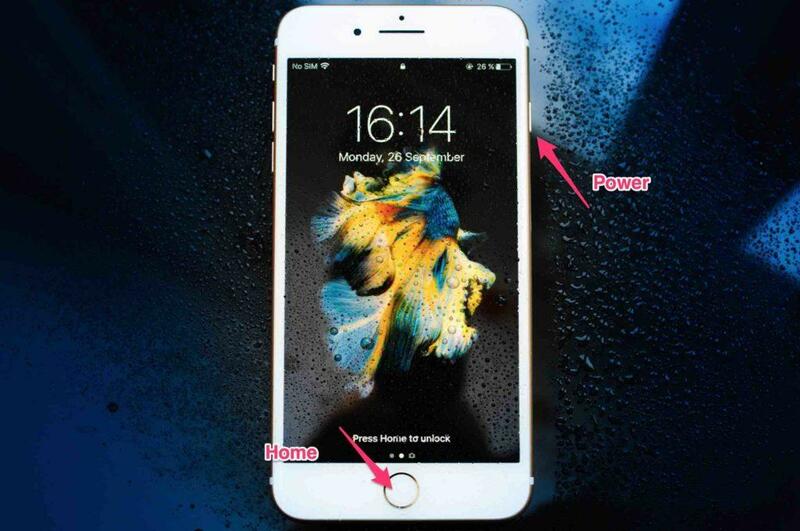 Here's the detailed guide on how to take a screenshot on iOS devices. Hold and press the Sleep (or Wake) on the right side and Home button at the same time and then release these buttons after 3 or 4 seconds. You will hear a camera shutter sound and the screen will flash white. Then, the screenshot will be saved to your Photos app immediately. Now you can edit and share the screenshot on the Internet or anywhere you want. Note: This works on iPhone SE, iPhone 4, iPhone 4s, iPhone 5, iPhone 5s, iPhone 6, iPhone 6 Plus, iPhone 7, 7 Plus, iPhone 8 and iPhone 8 Plus. If you have pressed and holed these button for a few seconds, but it doesn't work correctly, then you need to use the AssistiveTouch feature, which is a built-in app on iOS. It's a great way to take a screenshot on iPhone, iPad without using any buttons as well. Step 1: Go to your Home Screen >> Tap on Settings app >> Tap on General >> Accessibility and then scroll down until you see the AssistiveTouch, then let turn it on. 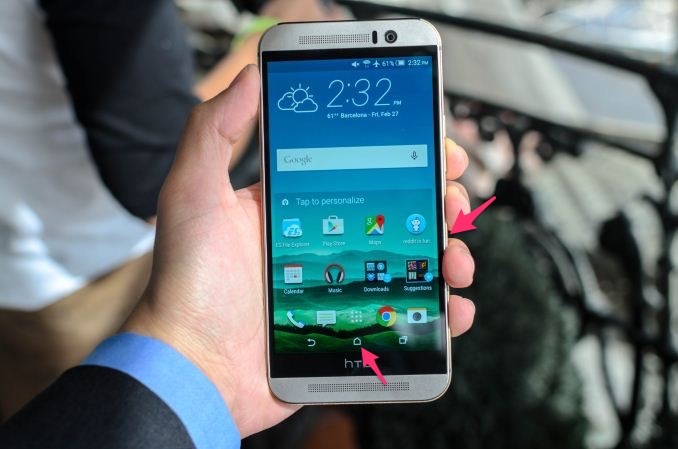 Step 2: Taking a screenshot by using AssistiveTouch is quite easy. Just going to the screen you want, then tap on the AssistiveTouch icon >> tap on Device >> Tap on More, and select the Screenshot option. This will save a screenshot as an image file on Photos app. There are many reasons for sharing your Android's screen with friends and colleagues including a funny comment on social media (Facebook, Snapchat, Twitter, etc. ), a proof of your new high score of playing Game, or writing guides for your blog. For the most of Android phones and tablets, you can take a screenshot by holding down the Power and Volume Down buttons at the same time. After a few seconds, the screen will flash white, and a message will show up in the drop-down bar on top of the display screen of your phone. Then you need to tap on it to view a screenshot. In there, there are some options which you can edit or share the screenshot on Facebook, Email, etc. This guide will work great on most of Android versions (Android 4.0 Ice Cream Sandwich, Jelly Bean 4.1 and later, KitKat, or Android 5.0 Lollipop, Android 6.0 Marshmallow, Android 7.0 Nougat, Android 8.0 Oreo and newest. Once you have pressed these buttons, the screen of your phone has been taken and saved automatically to the Photos app. Go to Settings and open the Motions and Genstures option. 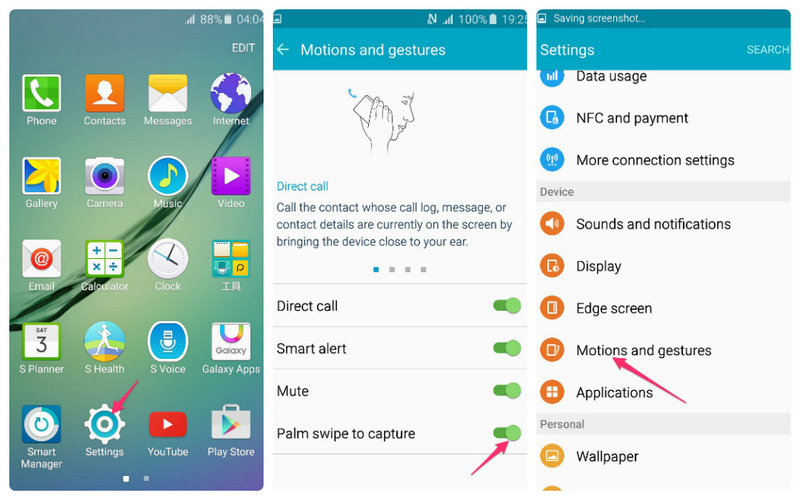 If your Samsung device is older than a Samsung Galaxy S4 (2013), you can try to going to Settings >> Tap on Motion. 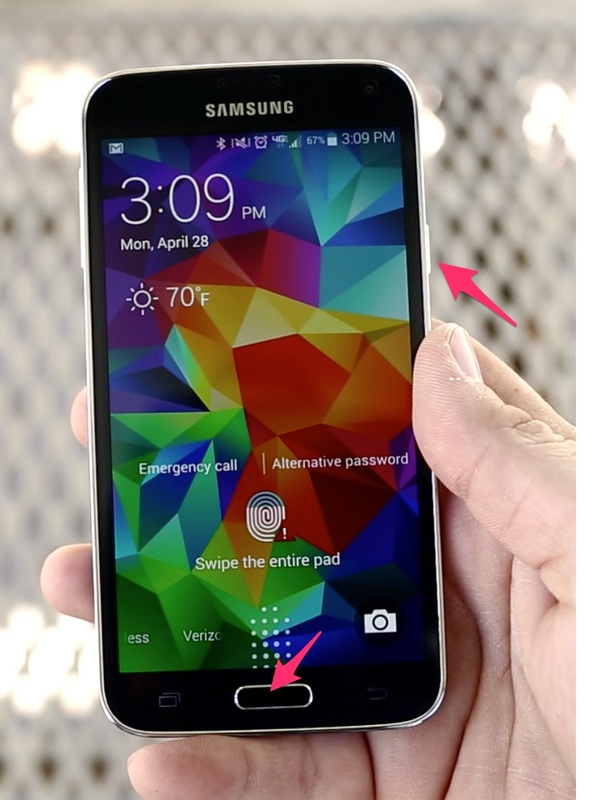 Then, turn the Palm swipes to capture on to take a screenshot using a hand swipe. 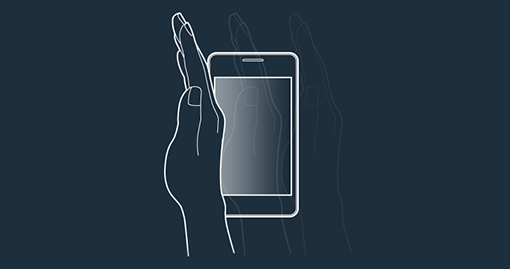 Now, just going to the screen you need and lay the bottom of your palm on the screen of the device and swipe left or right across the screen. Then, you will hear the camera shutter sound, this mean your screenshot has been taked and saved to the Gallery app of the your phone automatically. 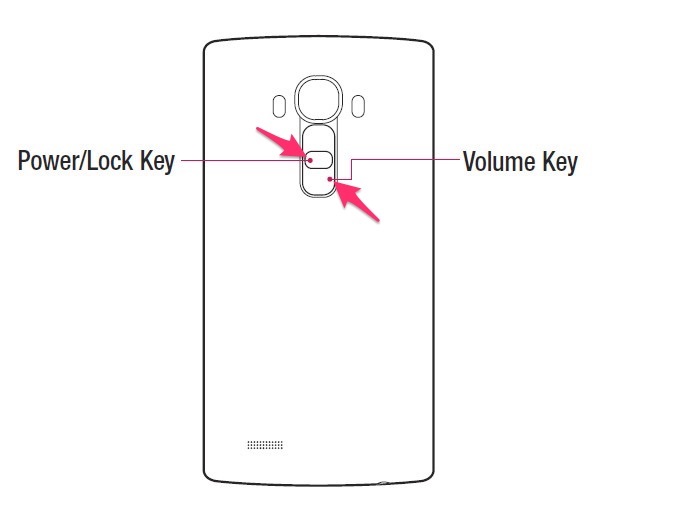 Power + Volume Down button. You will see a flash white on the screen of your phone. The screenshot will be saved in your Photos or Gallery. Just press and hold the Power and the Volume Down buttons until a new pop-up window appears. Then you'll see some options including taking a screenshot and recording the screen, etc. Go to the screen you want to take a screenshot. Hold down the Volume Down and Power buttons at the same time, then the screenshot has been saved into your "Screenshots" folder in your Gallery application of your device. Hold down the Power button and the Volume Down button at the same time , both buttons is on the right-hand side of the mobile devices. Then, you can view a screenshot that have just been taken on Photos app. There are a few ways to take a screenshot in Ubuntu, Linux. For this guide, we will share some methods which you can do easily. If you want to take a particular Program's window, let press these buttons - Alt + Print Screen, this will copy the screen to the clipboard as well. Now, you have to open some editor apps on your Laptop, PC and paste it into the app. I usally use these apps, include GIMP, Shutter, etc. GIMP is a great tool which most of Ubuntu's users have installed on their Laptop, PC. 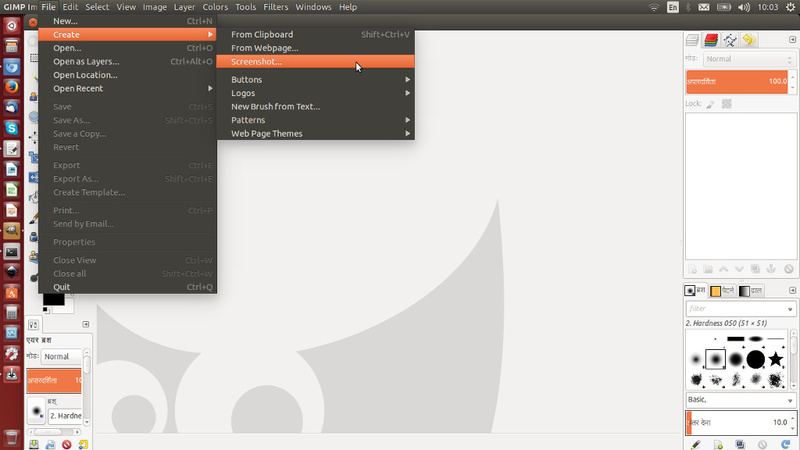 See more how to install GIMP on Ubuntu in here. Taking a screenshot using GIMP app. Taking a screenhost by using GIMP is quite easily. Open GIMP app, then click on File >> Create >> Screen Shot… (Shift + F12). A new window will appear which allows you take a screenshot from some options. You can quickly install and use the Shutter app by following a few step below. Step 1: Open Terminal (Combination keys is Ctrl + Alt + T) and type or copy the command to install this app on Ubuntu. Step 2: Open Shutter app and click on Selection to take a particular area of your screen. Taking a screenshot using Shutter app. Then, drag a specific area of the screen you want. Once you have released your mouse, then you can use the tools of the panel of Shutter app to edit, add an arrow, text, etc.